Up To One Fifth Of The Legionnaires’ Disease Outbreaks In England Were Linked To? What Popular 1980s Computer Game Blatantly Ripped Off Super Mario Bros? Legionnaires’ Disease is a form of atypical pneumonia caused by a strain of Legionella bacteria found naturally in fresh water. It’s named after the famous outbreak of the disease caused by contaminated water that resulted in a huge number of infections (182 reported cases, 29 deaths) at the 1976 American Legion convention hosted at the Bellevue-Stratford hotel in Philadelphia, Pennsylvania. The source of the bacteria was contaminated water in the cooling tower of the hotel’s air conditioning system. Because of this event and subsequent cases, the disease is most closely linked with water systems in buildings. 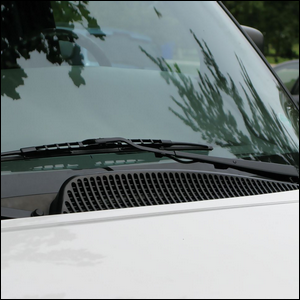 Curiously, however, nearly one fifth of the Legionnaires’ Disease cases in England (and Wales as well) were found to be caused by windshield wiper fluid. Specifically, the cases were caused by drivers who didn’t purchase regular off-the-shelf washer fluid, but instead just put plain water in their windshield fluid reservoirs. While that might sound like madness to anyone who lives in an area of the world with harsh winters (where water would freeze solid and damage the system), English winters are very mild and it’s possible to skip using proper washer fluid altogether. Because warm water is the Legionella bacteria’s best friend, a reservoir made warm (but not boiling hot by any measure) right next to an engine is a perfect place for them to rapidly multiply. Turn on the windshield sprayers and boom, you’ve got a nice, nasty aerosolized mix of bacteria loaded water droplets to breath in. Notably, there were zero cases reported of anyone getting Legionnaires’ Disease while using regular windshield washer fluid since the principle non-water ingredients kill the bacteria.